WOODY SHAW: BEYOND ALL LIMITS (2018) is a forthcoming feature-length documentary film that will explore the musical, cultural, and philosophical pursuits of one of the most influential and yet profoundly overlooked musical icons of the twentieth century — legendary jazz trumpet innovator and composer Woody Shaw (1944-1989). The film will explore Shaw's life journey and artistic sacrifices as he sought to revolutionize the trumpet, to advance his music, and to combat the many social injustices of his generation through his music. Produced, filmed, written and directed by Shaw's son — Woody Louis Armstrong Shaw, III. This film is currently in production and is due for completion and release in 2018. LATEST NEWS: Woody Shaw film project chosen for 2017 DOC NYC Film Festival program 'Only In New York' (OINY) — plus Residency at Cucalorus Film Festival (Learn More). 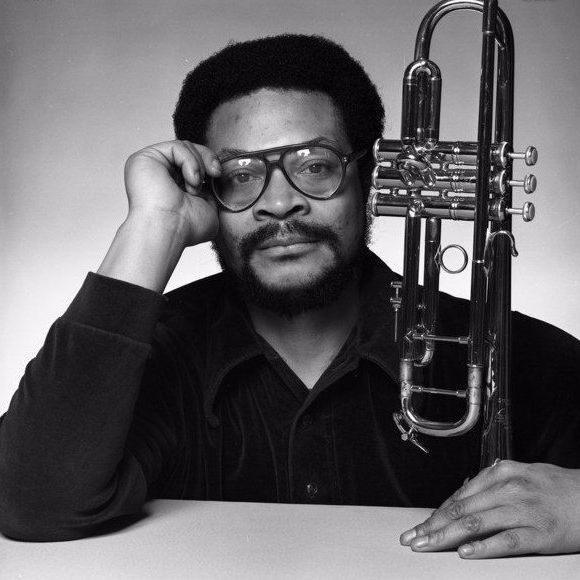 SEVEN (7) Hi-Res Woody Shaw Full Concert Downloads - Live & Unreleased (instant access) (FLAC files). Access to Extended Documentary Bonus Footage (13 minutes) (instant access). Pre-Release Screening of Documentary (2018). Access to Private Facebook Group (behind the scenes bonus footage, free downloads, exclusive content). TEN (10) Hi-Res Woody Shaw Full Concert Downloads - Live & Unreleased (instant access) (FLAC files). FIFTEEN (15) Complete Woody Shaw Live Concert Downloads - Full Performances (1976-1983) (Unreleased) (High Definition FLAC Digital Audio Files) (Instant download delivery following checkout) (Exclusive!). Founding Membership with The Woody Shaw Institute of Global Arts. TWENTY (20) Complete Woody Shaw Live Concert Downloads - Full Performances (1976-1983) (Unreleased) (High Definition FLAC Digital Audio Files) (Instant download delivery following checkout) (Exclusive!). Extended Film Trailer (Bonus "Rough Cut" Footage) (13 minutes) (instant streaming access following checkout) (Exclusive!). Pre-Release Online Screening of Woody Shaw: Beyond All Limits (30-Day Rental License) (late 2017 — early 2018). One High Resolution 12"x12" Woody Shaw Photo Print. NOTE: Enter your T-SHIRT SIZE in the "SPECIAL INSTRUCTIONS" during Checkout! **PLEASE ALLOW UP TO 4-6 WEEKS FOR DELIVERY OF PHYSICAL ITEMS. Pre-Release Online Screening of Woody Shaw: Beyond All Limits (30-Day Rental Licence) (late 2017 — early 2018). 3 Digital Manuscripts (Rosewood, Stepping Stone, Woody I: On The New Ark) (Instant download delivery). Associate Producer film credit for Woody Shaw: Beyond All Limits (IMDB, film credit, and website placement). TWENTY (20) Complete Woody Shaw Live Concerts - Full Performances (1976-1983) (Unreleased) (High Definition FLAC Digital Audio Files) (Instant download delivery following checkout) (Exclusive!). Woody Shaw: The Tour CD (High Note Records) (Volumes 1 & 2) (Vol.2 to be released Summer 2017). Executive Associate Producer film credit for Woody Shaw: Beyond All Limits (IMDB film credit and website placement). Beyond All Limits T-Shirt (Exclusive!) of Woody Shaw's Columbia album session Rosewood. Woody Shaw / International Trumpet Guild CD. Beyond All Limits T-Shirt (Exclusive!) of Woody Shaw's Columbia album session Rosewood (7-14 day delivery). "This album film is dedicated to the youth who will benefit mankind. To the youth who are constantly aware of the turmoil in which the world is, and who are trying to right all these wrongs, whether in music, or in speech, or in any other way of positive work. " So WHY Should I Support This Project?! This project is the culmination of over 15 years of familial and historical work conducted by Shaw's son, Woody Louis Armstrong Shaw, III, in an effort to keep his father's musical legacy and memory alive. By supporting this project, you will be helping to complete the Woody Shaw documentary, to launch The Woody Shaw Institute of Global Arts, and to ensure that the story of one of the most influential and innovative musicians of the 20th century finally gets told. And WHY Do You Need These Funds?! These funds will help complete all aspects of production, administration, editing, and distribution and all tax and legal filings associated with the launch of The Woody Shaw Institute of Global Arts. In addition, these funds will also help digitize countless articles of Woody Shaw's written and recorded music and to release long-awaited, previously unreleased materials from his archive — for public dissemination for years to come. These funds are needed to cover production expenses, to purchase necessary recording equipment, to pay for traveling, transportation and ancillary expenses, to pay for staff, assistants, cameramen, editors and others. The most urgent requirement at this time is to interview as many of Shaw's remaining peers as possible while they are still living, and this will require a great deal of international travel. These funds will thus help cover such remaining costs and ensure that this project is completed in a timely fashion. And WHAT Do I Get?! When you support this project, you will gain access to a plethora of previously unreleased material. While many Shaw fans have become sophisticated collectors and archivists in their own right, what has not been offered in the past is a way to contribute directly and legitimately to the ongoing preservation of Woody Shaw's legacy. Through this project, Shaw fans have the rare opportunity of being part of a historical initiative that is independent and unaffiliated with any academic or centralized cultural institution, and which is administered exclusively under the care and oversight of Woody Shaw's family. As such, supporters can take pride in knowing that they have participated directly — and authentically — in the preservation and advancement of Woody Shaw's legacy. Born in Laurinburg, North Carolina, raised in Newark, New Jersey, and often referred to as “the last great trumpet innovator” (NPR Music), trumpeter-composer Woody Shaw (1944-1989) is today credited with advancing the technical and harmonic conventions of the trumpet through the development of his own stylistic conception and approach to improvisational music. Shaw recorded over 150 albums as both bandleader and sideman, leaving an indelible influence on the world of jazz and on modern trumpet playing, yet Shaw rose to stardom at a time when the popularity of experimental “straight ahead” jazz witnessed steady decline amidst the rise of the more commercially popular genres of his era. Shaw remained steadfast to his artistic convictions in spite of the economic uncertainties facing the genre, while wholeheartedly championing the acoustic tradition of America’s "classical" music. Still regarded as one of the most forward-thinking and prolific trumpet players of his era, Shaw contributed to numerous classic albums across every known facet of improvised music, recording as a sideman for Blue Note Records during the 1960s and recording many canonical albums of his own, as composer, arranger, and bandleader for Contemporary, Fantasy, Muse, and Columbia Records throughout the 1970s. Shaw's predecessors, peers, and successors have for decades noted his unwavering individuality and artistic distinction. Trumpet luminary Miles Davis himself offered praise of Shaw when he stated, "Now there's a great trumpet player. He can play different from all of them." And yet, despite unanimous recognition of Shaw's achievements amongst musicians and jazz fans, Shaw's musical life story and artistic innovations have remained largely unknown to the world outside of jazz - until now. Woody Shaw III is a producer, cultural curator, archivist, and the administrative and artistic director of the legacies of his late father, trumpet innovator and composer Woody Shaw (1944-1989), and his step-father, legendary tenor saxophonist and Academy Award nominated actor Dexter Gordon (1923-1990). He is also founder of MOONTRANE MEDIA GROUP, LLC — a digital media, creative production, and arts management consulting company in New York City. Woody III has worked across numerous disciplines over the years to preserve and extend the works of his cultural and artistic heritage including estate management, intellectual property law, archival research and documentation, digitization, licensing, copyright, publishing, event production, musical and artistic direction, curation, web and graphic design, video production, project direction, strategic planning, and digital and social media. He has also worked as a digital media consultant to small businesses, artists, estates, and non-governmental organizations such as the United Nations Department of Public Information. He is Founder of Woody Shaw Legacy LLC, Dex Music LLC, and co-founder and CEO of The Dexter Gordon Society. Woody III also administers the associated websites WOODYSHAW.COM and DEXTERGORDON.COM. 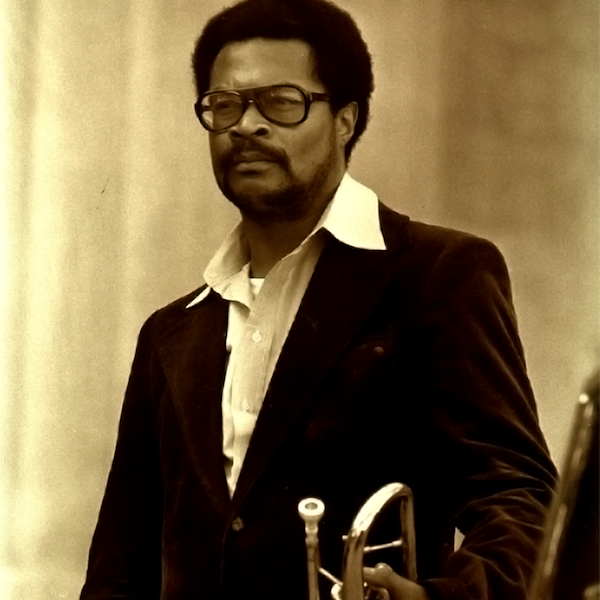 As producer and author of numerous articles and essays on the legacy of his musical forefathers, Woody Shaw III has worked as music producer and writer for Mosaic Records, Sony Music Entertainment, High Note Records, Pop Market, and Resonance Records. He has produced musical events for the Tribeca Performing Arts Center, the Jazz Standard, and NPR Music. Woody is also published in the University of Pittsburgh’s International Jazz Archive Journal, the International Trumpet Guild Journal, Jazz Japan magazine and has spoken publicly at Harvard University, Columbus State University, and BMCC and has appeared on such radio networks as WBGO, NPR, 90.1 Rochester, WBAI, Sirius XM Radio and others. As drummer, Woody has performed throughout New York City, in Europe, and in Asia working with percussionist Joe Chambers’ Urban Grooves Ensemble, and with saxophonists Rene McLean (son of jazz legend Jackie McLean), Hamiet Bluiett and others. Woody III received his M.A. in Arts Administration from Columbia University with concentrations in business and arts law in 2015. He is a recipient of the William Randolph Hearst Fellowship, the Helen E. Richards Scholarship, the Teachers College Scholarship, and has received support from the Michael Eisner Educational Fund. He has professional certification in Intellectual property law from New York University and in business from Columbia University. In 2014, Woody III was awarded the prestigious Hutchins Fellowship by the W. E. B. Du Bois Research Institute at the Hutchins Center at Harvard University. During this time he focused on the consolidation of over 15 years’ worth of historical research for the launch of a forthcoming book, documentary, and educational institute (The Woody Shaw Institute) to preserve, document, and extend the innovative musical legacy of his late father, legendary trumpet master and composer Woody Shaw, Jr. (1944-1989). Woody III received his B.A. in Ethnomusicology at Hobart College in 2001, during which time he studied music, religion, and philosophy in India, Japan, and Vietnam. He received his B.F.A in Jazz Performance from New School University in 2004. He attended the Indiana University Jacobs School of Music’s graduate program in 2006-2007, serving as the Associate Instructor (T.A.) for department chair Dr. David N. Baker.